Home Basketball "I already warned that Doncic was going to be a dominating player"
"I already warned that Doncic was going to be a dominating player"
The Czech makes a football comparison ("If LeBron is the Christian of the basket, Kobe is the Messi)." I bought about 30 tickets for the London game. 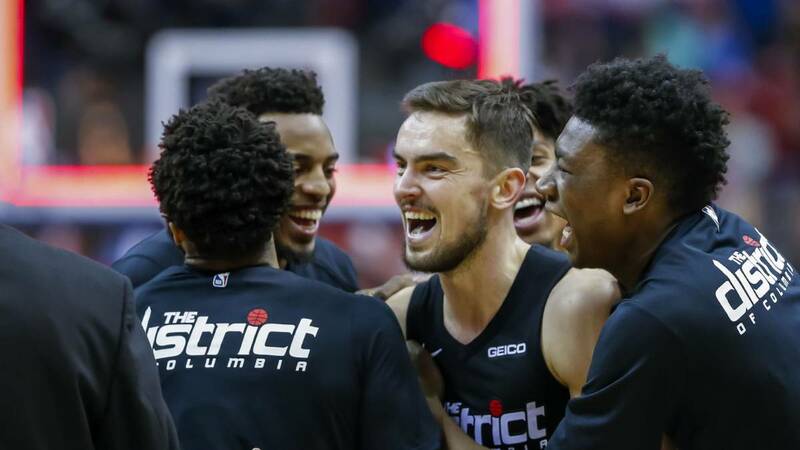 Tomas Satoransky, former Sevilla and Barcelona Lassa, attended the press before his team, the Wizards, face this Thursday at New York Knicks at NBA London Games. "That my family and my friends have the opportunity to see me play in Europe is something that makes me enjoy. I have had to buy about 30 tickets and I feel more like an event organizer than a basketball player (laughs). " The base, which is still quite strange to" see a Barça without Navarro ", made a very soccer comparison: "If LeBron is the Christian of basketball for his physique, Kobe is Leo Messi" . In addition, Satoransky has not been surprised by the irruption of Luka Doncic in NBA: "I expected it before I came, they asked me about him, how I was going to do it, and I told them I was going to be a dominating player and they did not believe me, now they believe me, it's very good for the Europeans, to see that a player can come to the league and dominate like that. " After injury to his teammate John Wall, the Czech base has had to give a I step in front in the Wizards "In the NBA you have to be prepared and last year I played in this position , the team knows me and I feel comfortable, if you play more minutes, numbers and self confidence always end coming ".